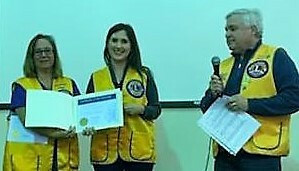 Since 1917, Lions Clubs have offered people the opportunity to give something back to their communities. 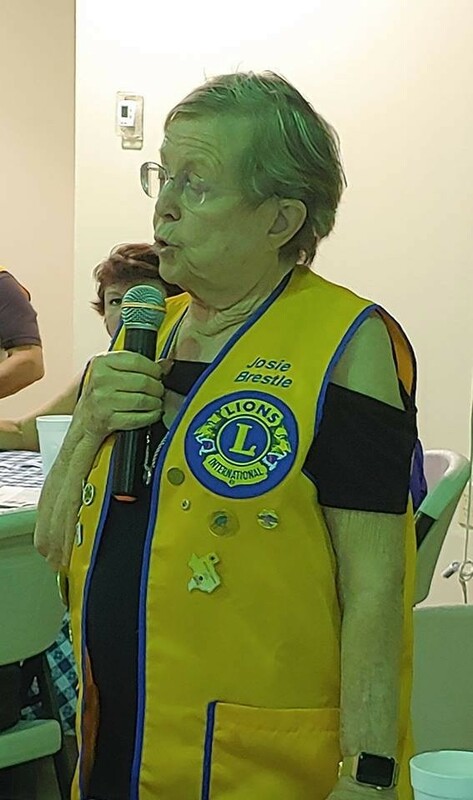 The Garden Ridge Lions Club began its commitment to service over 40 years ago in 1973 and continues today by seeking out all forms of community need and developing ways to serve and satisfy those needs. We have the continued focus of meeting the commitment of all Lions adhering to the motto : “WE SERVE”. ​The Garden Ridge Lions Charities, Inc. directly supports individual children and families in need with our Thanksgiving and Christmas food baskets and toys at Christmas for children. We also work hand-in-hand with agencies and other non profit organizations. 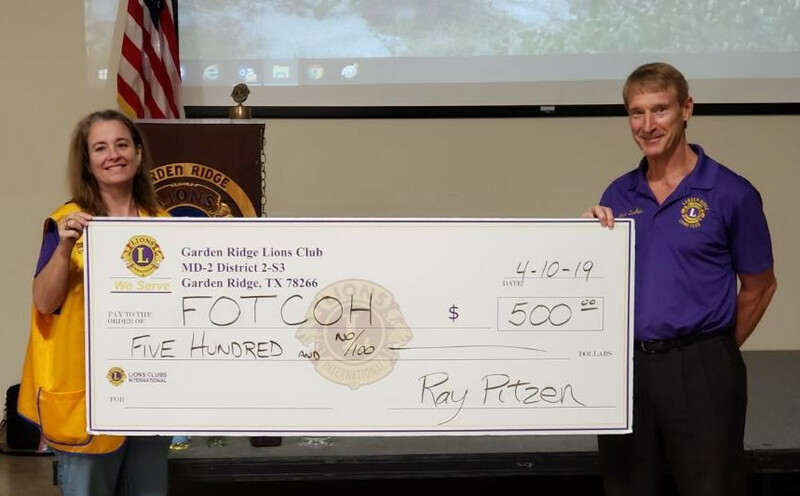 These include Lone Star Lions Eye Bank, Boy's State & Girl's State, Texas Lions Camp Counselor Scholarships, Texas Lions Camp and many other charitable organizations. "... over 40 years of community service"
Congratulations to Tara Brown. One of Garden Ridge Lions newest member. Amanda Hagy is the sponsor. Dave Heier presided the January 23rd General Membership Dinner event. 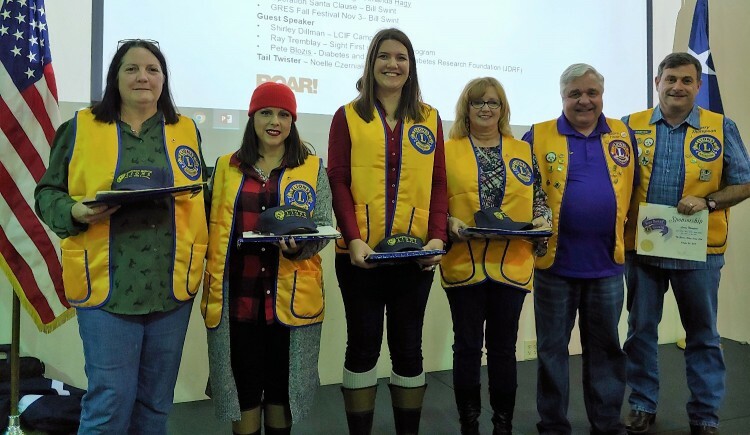 Congratulations to the four new Garden Ridge Lion members (L to R) Ginger Ann Stiehler, Angela R. Shaner, Jennifer S. Weber and Marva Lynn Shelton. Lion Hunter Dave Heier presided over the October 24, 2018 induction event and Larry Thompson was the sponsor for all four inductees. 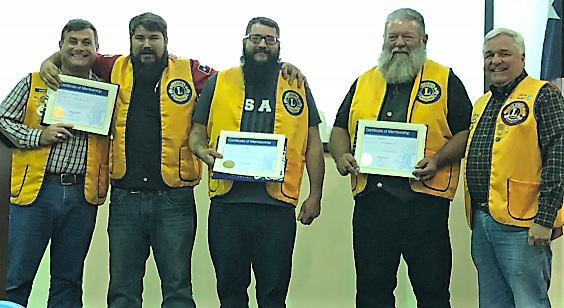 Congratulations to three of our newer ​Garden Ridge Lion's members. Ken Weber, Jason Weber and Rick Shelton. Larry Thompson was the sponsor with David Heier presiding over the November 14th induction event. 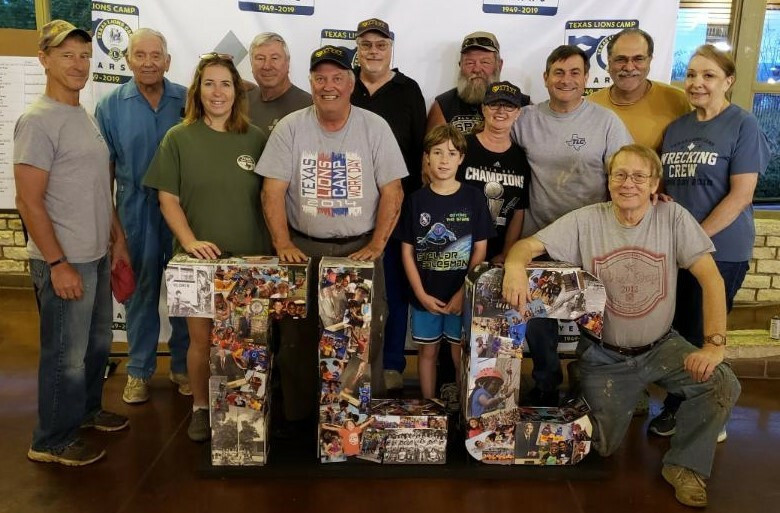 Annual Lions Camp Clean-up at the Texas Lions Camp(TLC) in Kerrville: TLC holds a series of work days to clean up the Camp from winter and prepare it for summer. 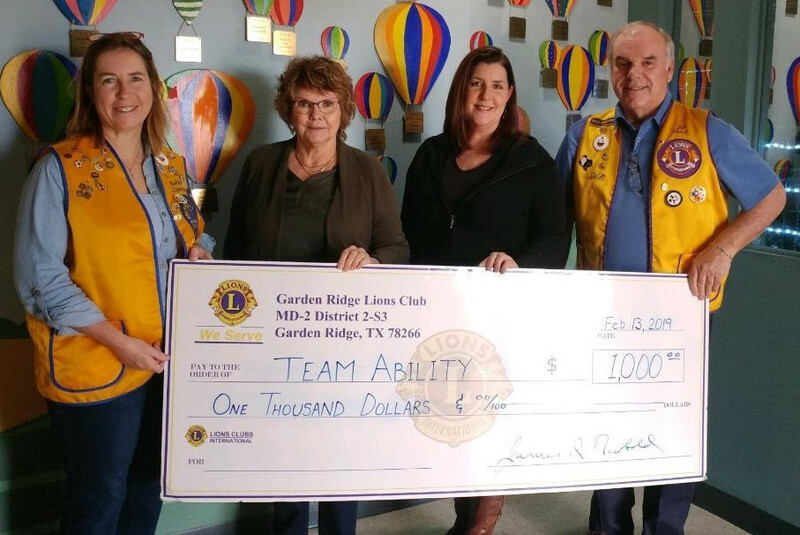 The Garden Ridge Lions are always looking to recruit good men and women with serving hearts and a special passion to help those in need. ​​ Our meetings are on the 2nd and 4th Wednesday of each month 7:00PM at the Garden Ridge Community Center at 9500 Municipal Parkway. 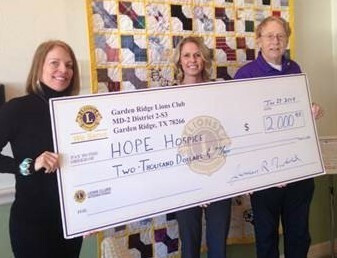 Garden Ride Lions make a $2000 donation to Hope Hospice. Jim Newbold presents a $2,000 check to Nickie Drummond, Executive Director and Laura Hargraves, Accounts Receivables with HOPE Hospice of New Braunfels, 1/29. Hope Hospice provides exemplary care, comfort and education to all affected by life-limiting illness, grief and loss. Donate used glasses (including reading & sunglasses); sorry no contact lenses), place them in the Lions Recycle for Sight collection box found in the Garden Ridge Library - 9400 Municipal Pkwy. Donated glasses are shipped to a Lions Eyeglass Recycling Center where volunteers sort, clean and determine the glasses prescription strength. After carefully packaging the refurbished spectacles, they are stored until they can be distributed, usually through humanitarian missions to developing nations. 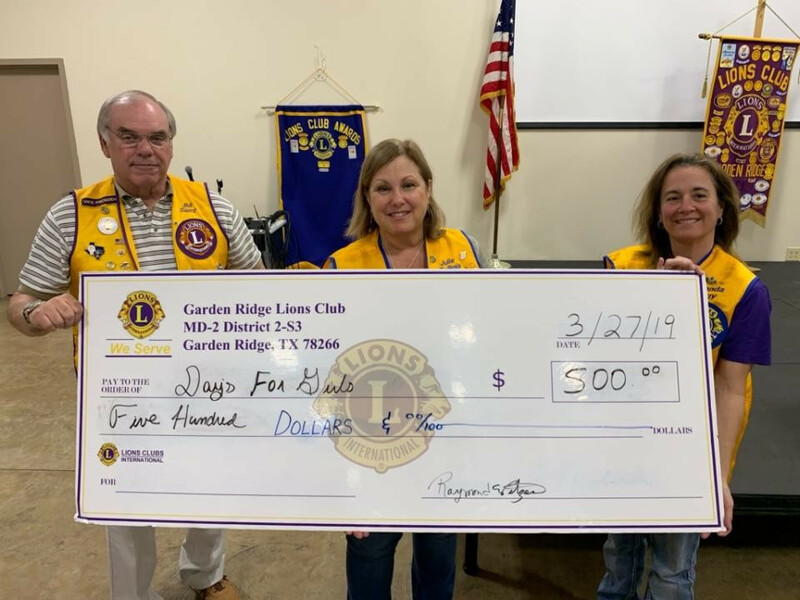 The Garden Ridge Lions presented a $500 check to Julie DuBois chairperson for the Garden Ridge Day's For Girls (DFG) chapter. DFG is a global movement that prepares and distributes sustainable menstrual health solutions to girls who would otherwise miss school or work during their monthly periods. The nonprofit organization was founded in 2008 by American woman Celeste Mergens. Lions Bill Swint and Amanda Hagy presented the check. 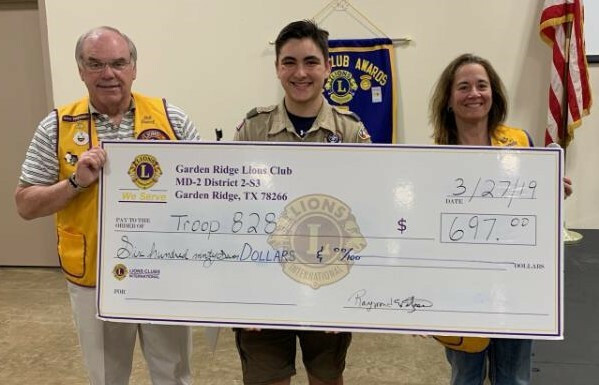 The Garden Ridge Lions presented a $697 check to Jake Hogue in support of the Bat Cave Boy Scout Eagle project with dollars, manpower to clean-up the trails, add 24 benches on the trails including at the viewing entrance to the Bracken Bat Cave near Garden Ridge. 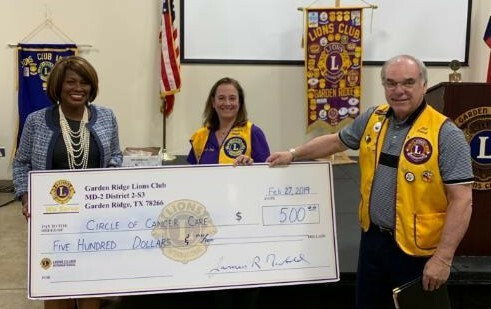 Lions Bill Swint and Amanda Hagy presented the check at the March 27th membership meeting. Congratulations to Melinda Cruz-Balderas. Garden Ridge Lions newest member. Dave Heier presided the March 13 General Membership Dinner event. Sponsor is Jennifer Weber (with daughter) and Jim Newbold standing in the back. 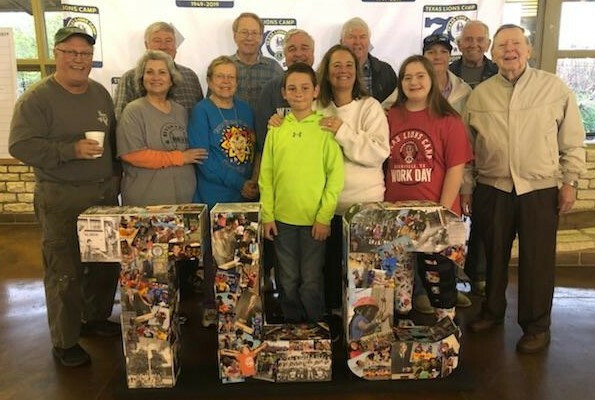 THANKS to the Garden Ridge Lions, and families who volunteered for the March and April Clean-up at the Texas Lions Camp (TLC) in Kerrville: TLC holds a series of work days to clean up the Camp from winter and prepare it for summer. Sign up for May! 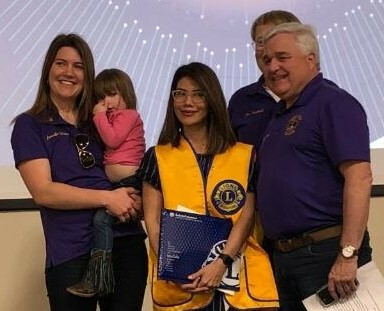 Plan to attend the Lions Clubs International 2019 District 2-S3 Convention Sat., May 18th at St. Luke’s Episcopal Church, 5600 Ranch Road 620, Austin, TX 78734. The agenda begins with the Opening Ceremony at 8:45 a.m. You can choose from a selection of breakouts covering a variety of topics. 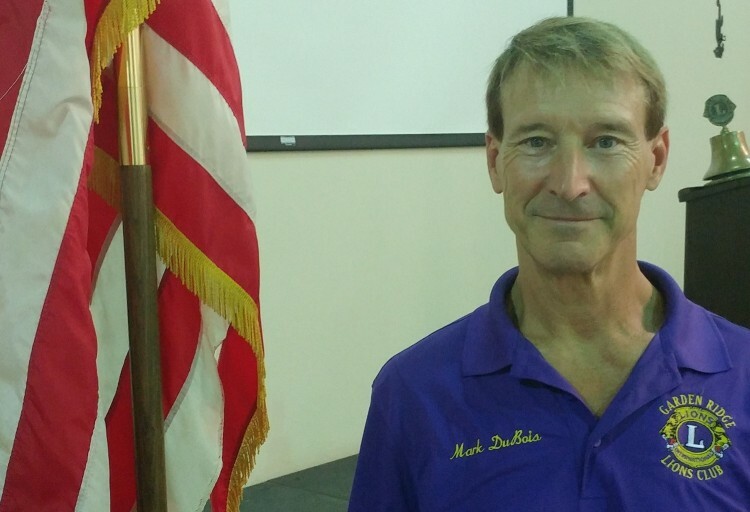 During the luncheon, we will honor Clubs and members for their service: Mac Cormack, Harry Reasonover, Service to New Heights, Golden Spur, Silver Spur, and the District 2-S3 Service Hall of Honor. Please contact Mark DuBois 309-397-7072 or dubois6434@gmail.com by April 25th if interested.